Lebanon’s Parliament speaker said Wednesday that Israel has presented no evidence to prove its claims that a network of attack tunnels has been built by Hezbollah across the countries’ shared borders, as Israel’s prime minister pressed for international condemnation of the terrorist group. The U.N. peacekeeping mission meanwhile said Wednesday it will send a team to Israel to “ascertain facts,” calling for full access to all locations along the border. On Wednesday, Nabih Berri, Lebanon’s parliament speaker and ally of Hezbollah, said Israel offered no “coordinates or information” about the tunnels during the regular weekly meeting held at the UN position in southern Lebanon. His comments were carried by the National News Agency. 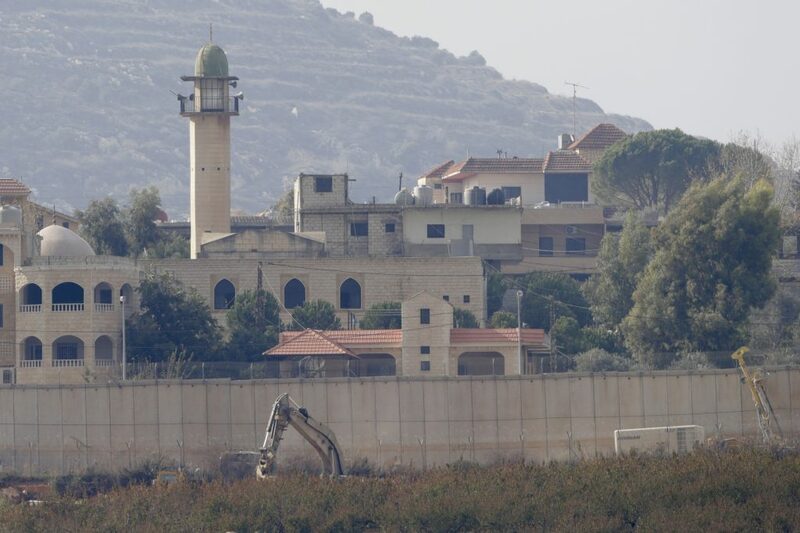 In a statement, the Lebanese army called Israeli reports of tunnels across the border “allegations.” It called on Israel to present specific coordinates and information about the location of such tunnels. The army urged Israel not to carry out any work inside Lebanese territory. The UNIFIL force commander, Maj. Gen. Stefano Del Col, encouraged both sides to reduce “the high level of rhetoric,” avoid misunderstandings, and ensure that security and stability along the U.N.-drawn Blue Line “is maintained and reinforced,” U.N. spokesman Stephane Dujarric said in New York. Israeli Prime Minister Binyamin Netanyahu, meanwhile, said he spoke with Guterres by phone Wednesday, telling him that he expects the U.N. to condemn the violation of Israeli sovereignty. Netanyahu also said he hopes the international community imposes increased sanctions on Hezbollah in response to Israel’s exposure of the tunnels. Ali Bazzi, a lawmaker from Berri’s parliamentary bloc, said Israel had no evidence to its claims, calling them a “distraction” and an attempt by Netanyahu to “evade” possible new indictment at home for corruption charges. This week, Israeli police recommended filing charges against the prime minister. A final decision will be made by the attorney general in the coming months. “I emphasize the critical role of our liaison and coordination mechanisms in mitigating tensions through continuous communication, at the heart of which is the Tripartite forum,” said head of UNIFIL mission Maj. Gen. Stefano Del Col. He appealed to both sides in using the mechanisms to “avoid misunderstandings and ensure that security and stability” along the border is maintained and reinforced.